The decision to build your own custom home, or add on to an existing residence, is a major financial and potentially life changing one. Choices made early on in the process can have serious repercussions later on and can affect cost, construction time and final outcome of one of the most expensive and personal possessions you will ever own. My experience as a carpenter, project manager, drafter and designer can help you navigate through the many decisions a homeowner faces as they try to put all the pieces together. Having worked for local home builders such as Lifestyle Builders and Mitchell Homes gives me great insight in finding, and working with, your builder. My passion is client education, and I am here to help you navigate through the many choices that need to be made to create a beautiful home that fits your lifestyle, your budget, and will last for generations to come. If you are thinking of building a custom home or adding on to an existing one, I invite you to contact me. I will be happy to answer any questions you may have about custom home building, home design, or county regulations. MB Design is a newer client and as such we are working closely with them to establish their company as a more affordable alternative than hiring a traditional architect for building designs. 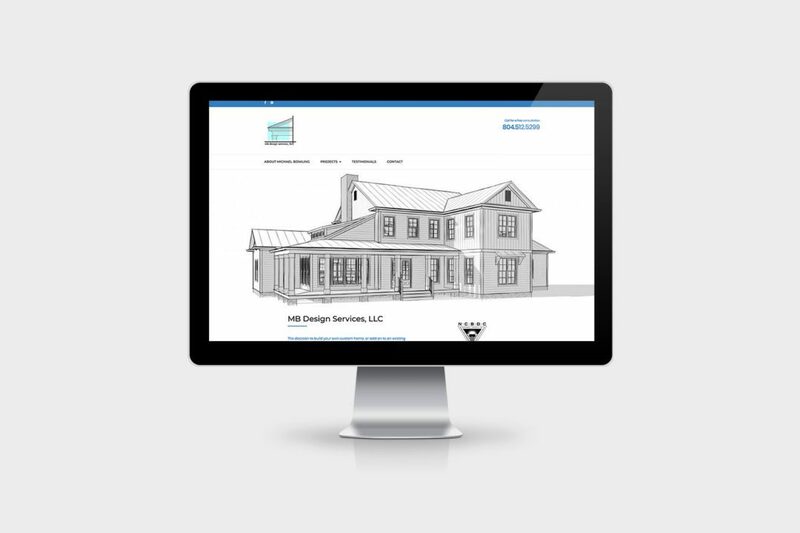 With updated pictures and content changes we are helping to explain exactly how MB Design can offer plans for land owners to build custom homes. We are also using Citation Listings to make sure that their business information is listed on trusted Google referral sites. This is an integral part of a comprehensive SEO plan to help newer businesses get established in crowded markets.